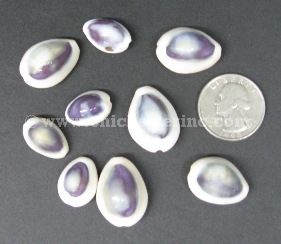 When Ringtop Cowry shells are treated with acid, the yellow is removed and the purple color underneath is revealed. 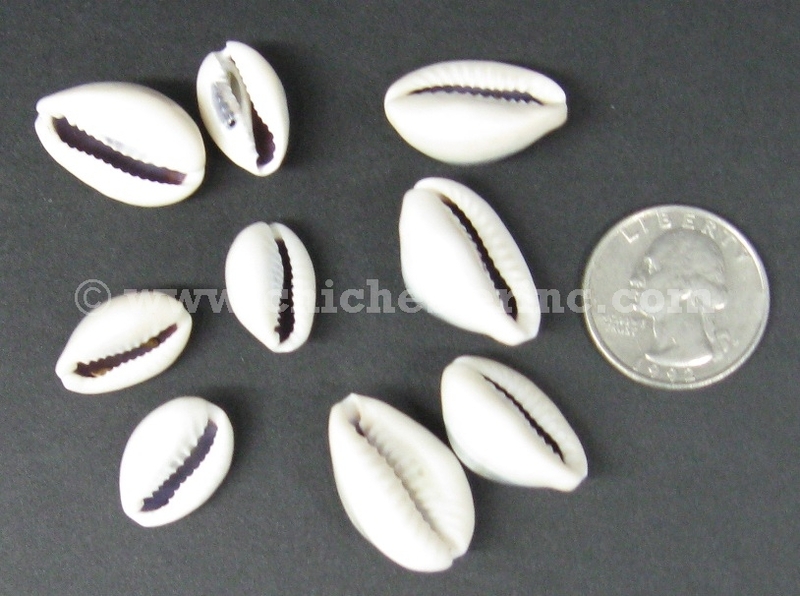 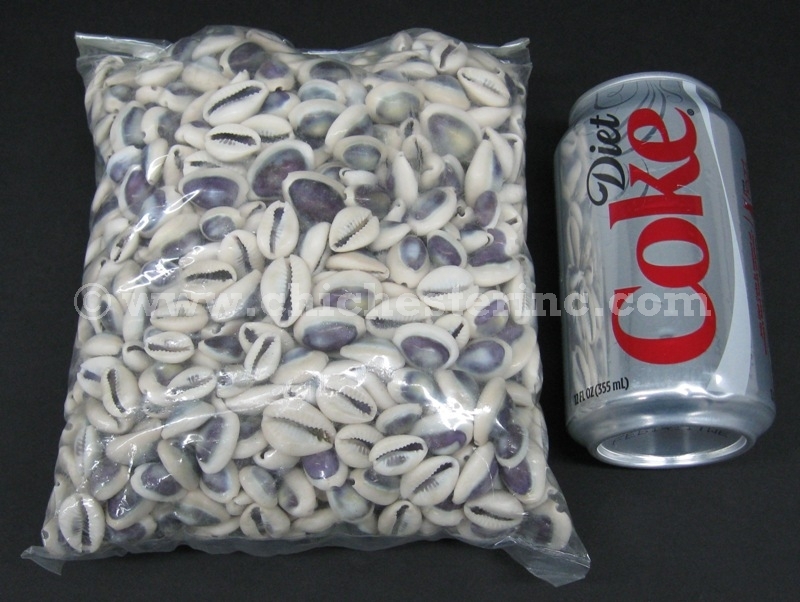 The purple cowry shells are 5/8" to 3/4" long. 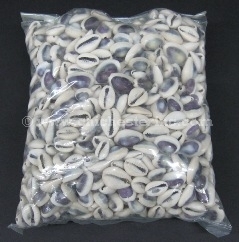 They are undrilled. 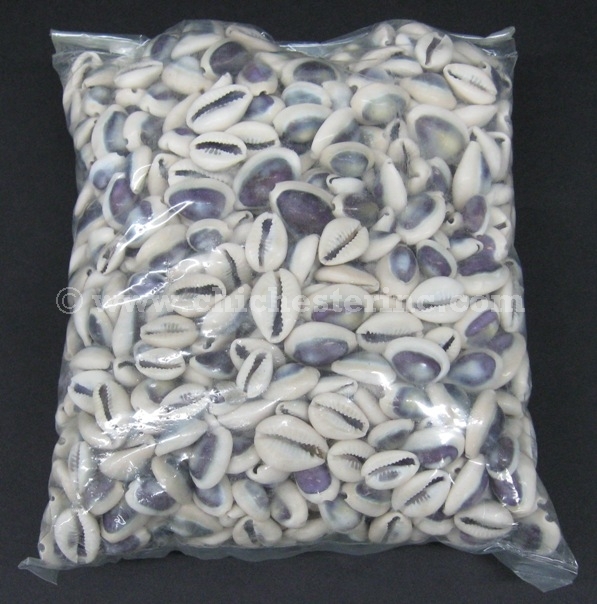 There are approximately 744 shells in a kilogram bag.